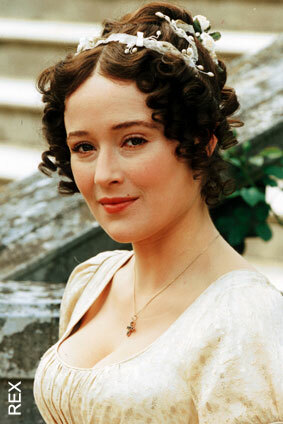 A few weeks ago I saw a link on facebook to a youtube video of a Regency hairstyle tutorial. I have exceptionally long hair. It is not one length, but the longest strand is close to my ankles. Yes, really. Sometime I’ll have my husband take a picture of it and I’ll load it on here. 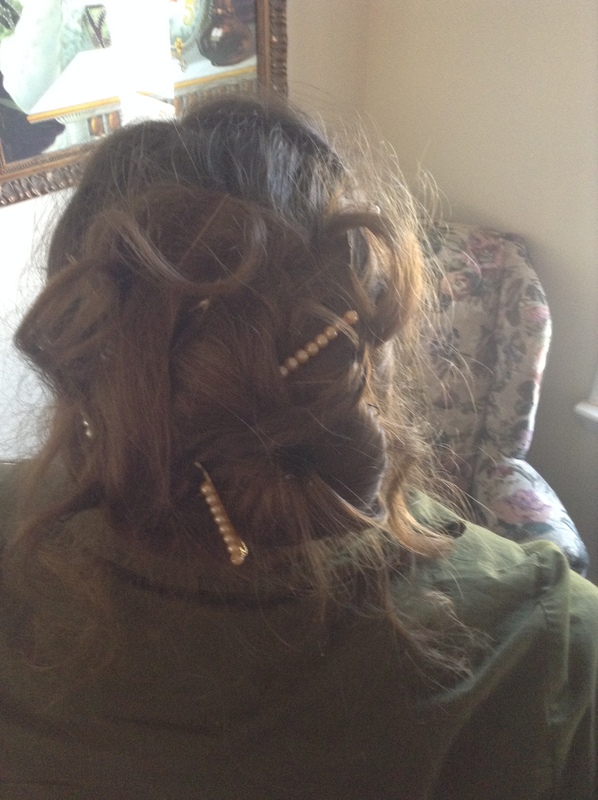 So, my hair frequently gets just piled up in a bun held together with 4 little clips. And it was that way long before I had kids. I worked in food service quite a bit and had to have it up. Or it would snag in the bolts of the chairs at school. In the winter it gets staticy from coats and in the summer it’s obviously hot. And so I was on the look out for a new hairstyle. A lot of them are difficult to do with such long hair and I thought this would be a fun twist. Click to go to the tutorial! Now, for my first attempt I couldn’t find my foam rollers so I just used a curling iron. It didn’t turn out well. Notice how the braid is barely visible. Curls entirely deflated in a few hours. The second attempt I found the rollers and also made my braids fatter but I think I made them too big but still not enough to be seen much at the end. The biggest problem here is that my hair is untrimmed and therefore very thin at the ends. 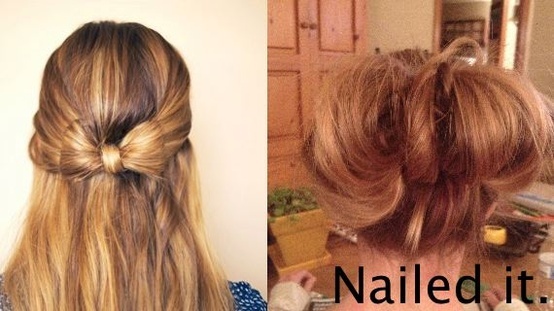 The lady doing the tutorial has very thick hair all the way through. 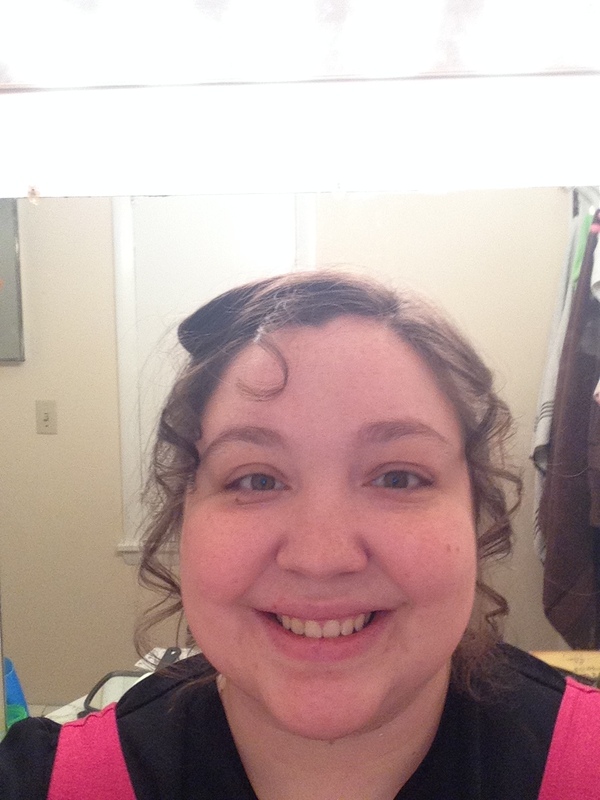 I left out more “tail” space but the tutorial said to brush out the curls, so it didn’t last as long. This is after all day and you can see the bun part is just starting to slip. Even with the prep-work of the foam rollers it took longer than I thought it would to piece this together. Not terrible, but not a 5 minute job either. 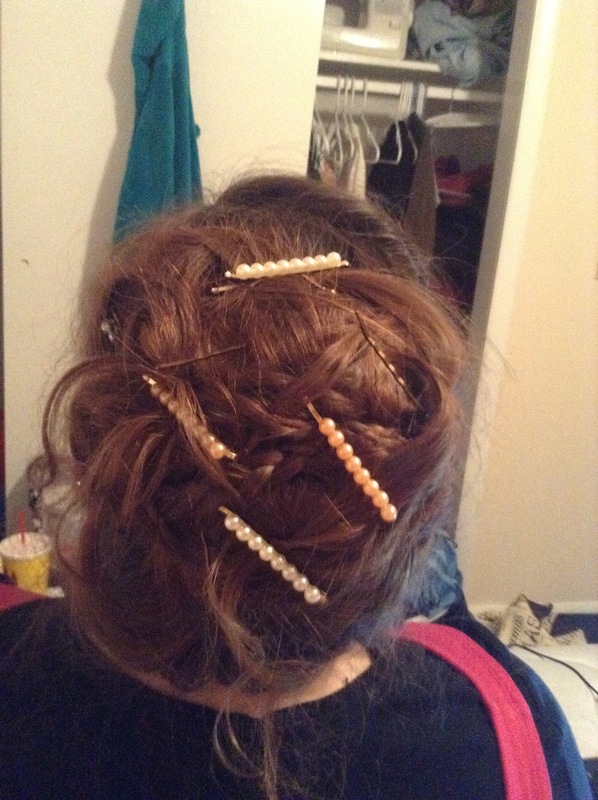 My daughter enjoyed knocking over my hair pins a few times as well. But it was very sturdy. It held up all day including a visit to the doctor’s office with both kids. And I guess since it turned out messy it looked more contemporary. I didn’t get weird looks. 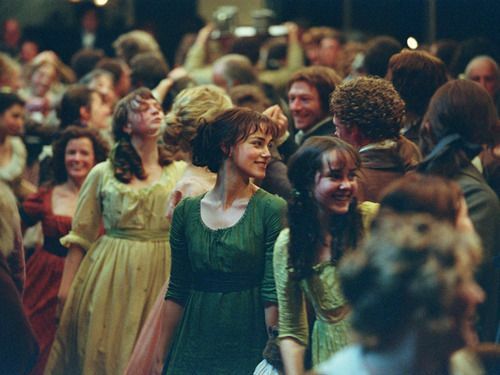 But basically I kind of felt like the difference between Jennifer Ehle with her pretty perfect Regency wig and Keira Knightley with her messy buns, which I can’t do intentionally to save my life. 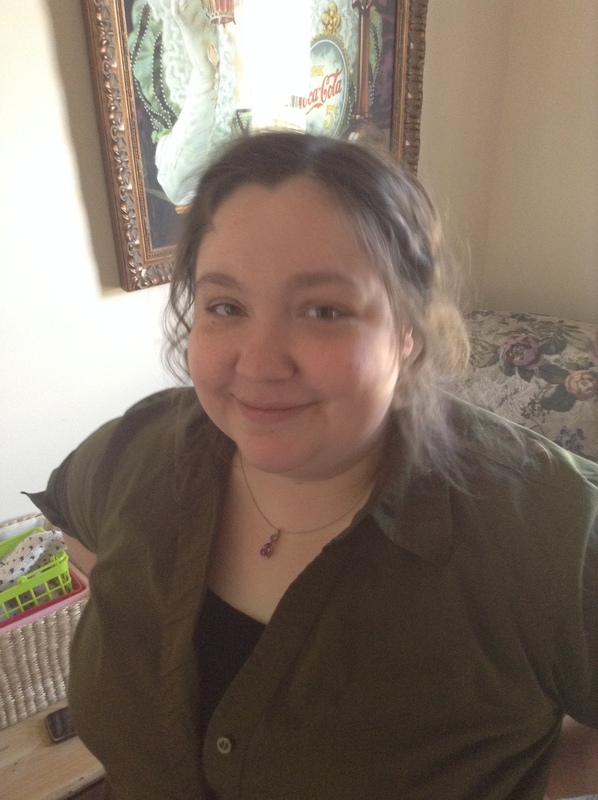 I think this hairstyle is not quite a winner for me but I’m going to try out some other things and even some historical fashion tips and blog about it. So, here’s the beginning of “This Historical Life.” My first love in history was essentially playing dress up, so who says a 30 year old can’t do that?! I have waist length hair and I do a lot of braids. My favorite is the split crown. I’ll send you a video. It takes about 25 minutes, but it lasts ALL DAY and doesn’t move at all, plus it’s really pretty.